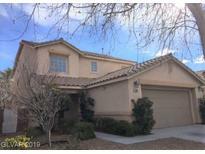 Below you can view all the homes for sale in the Brookfield subdivision located in Las Vegas Nevada. Listings in Brookfield are updated daily from data we receive from the Las Vegas multiple listing service. To learn more about any of these homes or to receive custom notifications when a new property is listed for sale in Brookfield, give us a call at 702-930-8014. 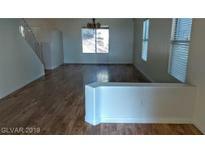 With open floor plan, Tile on 1st floor , Ceiling fan through out, Spacious master bedroom with walk in closet, Gorgeous backyard with covered patio. MLS#2083812. Investpro Realty. Gorgeous backyard with pool sized lot and lush grass. Priced to sell below appraisal. MLS#2083006. The Tom Love Group LLC. Comes with a Brand new stainless steel refrigerator, micro wave, stove and dishwasher. Washer and dry included also. MLS#2069983. Clear Sky Realty LLC. Master With Walk In Closet, Separate Shower & Garden Tub. MLS#2065096. Scofield Realty Inc..